Four (4) Hot Chamber Magnesium Die Casting machines from 125 to 315 metric tons capable of producing parts from fractions of an ounce to 4 pounds in sizes ranging from approximately 1″ to approximately 16″ square. JIT and vendor certification implemented. Engineering employs CADKey and PRO-E Software. A separate adjacent plating division offers barrel plated finishes for zinc in chromeplates, brass, copper-nickel and a variety of other common plating finishes. In the 20 years that CNM Die Casting has been in business, we have grown for what we think are the best reasons: the renown of our high precision, high quality zinc and magnesium castings and a demonstrated approach of partnership with our customers. This “partnership” attitude is one of deeds, not mere words. In effect, it means that we are committed to do whatever we can to help the customer. 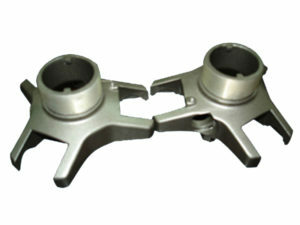 Our ultimate goal is to find the most cost effective design of the product and the most efficient manufacturing process.